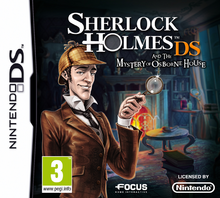 Note: Copy any of the above Sherlock Holmes DS and the Mystery of Osborne House (Europe) rom download links and paste it into your browser to download. Ok with link 1,WTF! it didnt even go into my files. did you rename .nd5 to .nds?